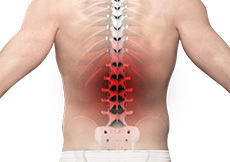 Strenuous activities of daily living can stress the back resulting in pain. It is natural at this time to withdraw from activity and rest but is not helpful in the long run and may actually slow down the healing process. 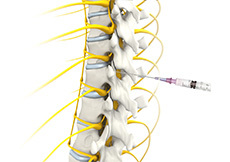 Epidural spinal injection is a non-surgical treatment option utilized for relieving back pain. Spine degenerative conditions such as herniated disc, spinal stenosis and many others may induce back pain due to the compression of the associated spinal nerves. This pain or numbness may extend to the other parts of the body such as hips, buttocks, and legs. Doctors start with non-surgical methods to treat back pain and epidural spinal injection is one of these preferences. 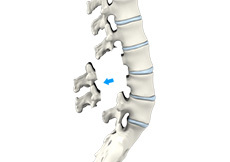 The facet joints are the tiny joints situated at the upper and lower part of each vertebra connecting one vertebra to the other. Each of the vertebrae has four facet joints which include a pair that connect to the vertebra above (superior facets) and another pair that connects to the vertebra below (inferior facets). They guide motion and provide stability. Pain may arise in these joints because of an injury to the back, spinal arthritis, or because of increased stress on the backbone. 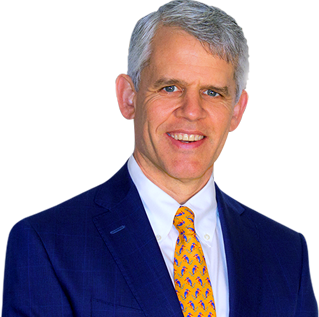 In anterior cervical discectomy with fusion, the surgeon approaches the cervical spine through a small incision in the front of the neck and removes the total disc or a part of the disc along with any bony material that is compressing or putting pressure on the nerves and producing pain. 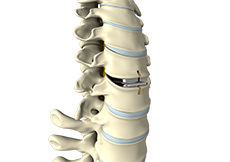 Lumbar Interbody Fusion (LIF) surgery is a surgical technique involving the removal of the damaged intervertebral disc, and the insertion of a bone graft into the disc space created between the two adjoining vertebrae. Bone grafts promotes healing and facilitate the fusion. 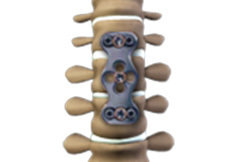 Screws and rods are used to stabilize the spine during the healing process. 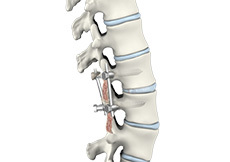 Anterior lumbar interbody fusion (ALIF) is a surgery performed to correct the spinal problems in the lower back. 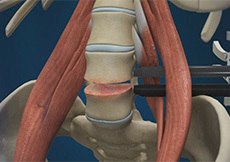 The surgery can be implemented either as an open surgery or minimally invasive technique. Artificial cervical disc replacement is a spine surgery to replace a degenerated (deteriorated) disc in the neck with an artificial disc. 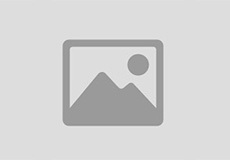 Disc degeneration reduces the height of the disc and may cause a herniated disc. Herniated disc refers to a condition in which the inner central portion (nucleus pulposus) of the spinal disc is forced out through a tear in the outer, fibrous ring (annulus fibrosus) of an intervertebral disc. The lower back or lumbar region is often the site of pain due to its high mobility and weight- bearing. 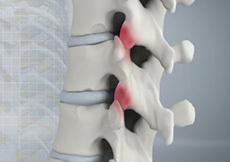 Spongy discs present between the vertebral bones of the spine help cushion the spine during stress and movement. 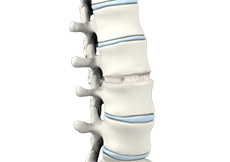 These intervertebral discs in the lumbar region may undergo damage due to stress, causing them to herniate or rupture, and compress adjacent spinal nerves. This can lead to lower back pain, as well as pain, weakness and numbness in the lower legs. Lumbar laminectomy, also known as decompression laminectomy, is a spinal surgery done to relieve excess pressure on the spinal nerve(s) in the lumbar (lower back) region. The term laminectomy originated from the Latin word ‘lamina’ which refers to a thin plate and the word ‘ectomy’ means removal. MISS is the latest advanced technology available to perform spinal surgeries through small, less than one inch long, incisions. 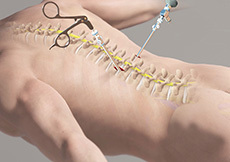 It involves the use of special surgical instruments, devices and advanced imaging techniques to visualize and perform the surgery through such small incisions. MISS is aimed at minimizing damage to the muscles and surrounding structures. Our spine is made up of small bony segments called vertebrae. These vertebrae are categorized into cervical or neck vertebrae, thoracic (upper back) and lumbar (lower back). Cushioning discs present between each vertebra act as shock absorbers. A cylindrical bundle of nerve fibers called the spinal cord passes through the entire vertebral column and branches out to the various parts of our body.